Clip and give The Silver Academy BoxTops 4 Education symbols on General Mills, Pillsbury, Betty Crocker (not Betty Crocker points), Nestle Juicy Juice, Progresso soups and others. Each is worth 10¢ and can redeemed by The Silver Academy for cash — no minimum required! Throughout the year, parent volunteers bundle and mail the BoxTops in groups of fifty to earn money for our school. Please visit the Box Tops 4 Education website to view all participating products; to track our annual earnings or; even better, to join Box Tops to earn eBoxTops® for The Silver Academy when you shop online — it's easy and free! The Giant A+ School Rewards program provides the opportunity to designate The Silver Academy as the beneficiary of 1% of all your purchases made through your Giant bonus card — no extra cost to you. 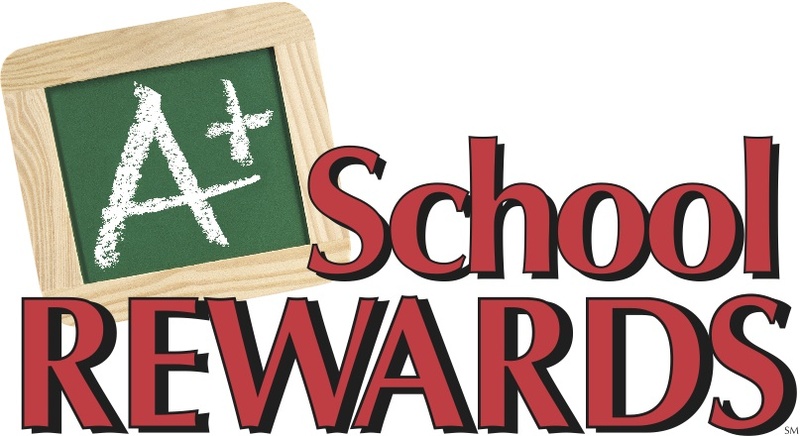 Their school rewards program runs every year from October through ﻿April﻿ and you must enroll for each year of participation. To enroll, please visit the Giant A+ School Rewards Program website to register your bonus card number and The Silver Academy’s code — 21305. TO ENSURE PRIVACY, AN ONLINE ACCOUNT IS REQUIRED FOR NEW SUPPORTERS. ALL SUPPORTERS FROM THE PREVIOUS YEAR ARE AUTO-ENROLLED. Please click ﻿﻿﻿﻿﻿﻿here﻿﻿﻿﻿﻿﻿ for new supporter instructions on how to link a card to your school. New supporters will designate The Silver Academy by signing in to their online account and selecting The Silver Academy. If you need assistance creating your online account, please contact Consumer Affairs at 1-888-814-4268 OPTION #1. Purchase these dollar for dollar in the school’s office, and then spend them the same as cash. The Silver Academy earns 5% — that’s $50 earned for every $1,000 sold! You may also purchase by calling Susan at 717-608-0190. This is how it works... Download the free Shoparoo App on your phone and use the code VuG13074. You will then complete a profile and pick The David L. Silver Yeshiva Academy. Then after you complete a shopping trip, take a picture of the receipt using the camera on your phone with the app open. It is that easy! Once a year, Shoparoo sends the school a check from the percentages! Finally, if you are unable to scan the receipts and want us to take care of them, send your receipts to Bonni Roseman at school and she will take care of them for you! As always, thank you for supporting this amazing school and let us know if you have any questions.